These trays will allow you to create patterns, borders, and any number of DIY glass tile designs. The trays work with 3/4 inch square glass tiles for paper face or film face mounting. 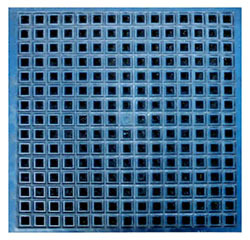 Any of our 3/4 inch square tiles will fit into the slots with preset grout joints for easy use. Choose a color palette, mix and match tile lines, to create a unique design for your indoor or outdoor setting.